KAMPALA– Court has warned the prison authorities to stop making copies out of the notes made by the jailed former ADF leader Jamilu Mukulu and 37 others to their lawyers. The accused through their lawyer Mr Caleb Alaka complained that in preparation for their defence, they write down some notes which the prison authorities read and take photos of them. 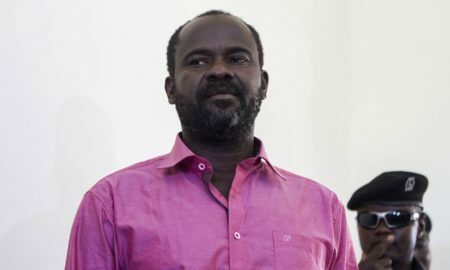 “Court gave orders that the accused should have the disclosed materials that state intends to use against them and they have been helping us to write some notes, however the prison authorities read them which problem we do not have, but they take photos,” Mr Alaka said. Presiding judge Eva Luswata then warned the prison authorities to stop taking photos of the notes made by the accused saying that the relationship between advocates and clients is very important and protected under article 27 of the constitution. Mukulu and co-accused are charged with over 78 counts including terrorism, murder, aggravated robbery and attempted murder and other crimes against Humanity. Prosecution led by John Baptist Asiimwe also presented to court legal documents pertaining the extra-diction process of Mukulu and 2 other people who were arrested in Tanzania that the Defence lawyers thought never existed. Justice Luswata has set the October 18 to hear and examine both DPP’s disclosed evidence and exhibits against Mukulu in order to determine whether it’s sufficient to sustain the charges on trial.